The Brothers of Alpha Gamma Rho’s Alpha Iota Chapter are men held to a higher standard of character, loyalty, and action. Men that forge ahead on a daily basis, building a better tomorrow all while honoring the roots from where they came. Historically, there are men who take time to humbly honor their roots, see the value in deep bonds forged with a handshake, and balance a noble sense of ‘doing good’ with hard work, superior ethics, and an unshakable value system. In short, they embody the characteristics of true gentlemen. Today, the Alpha Iota Chapter continues that time-honored legacy of producing extraordinary men who make up the Brotherhood of Alpha Gamma Rho. Undergraduate brothers and alumni have worked together and made sacrifices to preserve the chapter’s legacy and invest in its future. And today, that Brotherhood boldly moves forward with a far-reaching vision to not only ensure our future, but also assure that it’s a future that is built upon the success of those who came before us. For over 80 years, our chapter has produced men that have been trailblazers. We now encounter a defining moment in our history with our journey for a new home. It is at this moment that we should all put our stamp on history; to not only ensure our chapter makes it to 2034 – our 100th Anniversary, but that our chapter sees anniversaries that we would only see from the skies of Heaven itself. The 80 years before now have set a Foundation for which we can be surely be proud of, but this can’t and won’t be the best years of our fraternity for they are sure to be in front of us with this new venture. Your fellow Brothers are asking a simple question: Can we live beyond ourselves in an eternal commitment to high standards and fraternal bonds? Chapter leadership believes the Alpha Iota Family supports not only this question, but it’s ideal. And this belief provides the very foundation for construction of a new fraternal home. 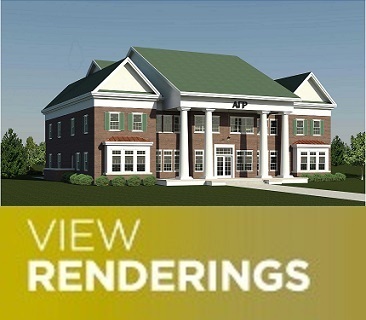 The construction of a new fraternity house will serve as a visual representation of our chapter providing top of the line educational and living spaces, amenities necessary to excel in college, social & professional growth, and other offerings essential to ensuring our fellow Brothers are housed in a space that not only meets their needs, but fosters self-improvement in an enhanced living and learning environment. For each year we remain without a home of our own, our Brotherhood loses competitive ground in attracting young men who excel in academics, leadership, and campus activities at the University of Arkansas. This moment was not one of our choice, but it is certainly a challenge that should be well accepted by the gentlemen of Alpha Gamma Rho. This is a moment to seize history and play a role in creating the future. The Time is Now Brothers! By choosing to move forward together as a family, as a united Brotherhood, we choose to make an investment in changing lives! Our fraternity made us better men. Men that became graduates, fathers, husbands, and leaders in every industry you can think of, especially Agriculture. The Rebuilding on a Proud Past Campaign offers us the ability to continue “making better men” and offers us the ability to honor the generation that came before us while forever changing our own generation and those to come. We are family; men who rally to support their lifelong Brothers. Alpha Iota Chapter has invested in generations of men, and now is the time to invest in those who have yet to enter our membership. To grow our membership, we must first build a home for them to flourish. Join us. progress of our Fundraising and the growth of our Chapter! Click the Banner above! Make Your Pledge Installments Online!